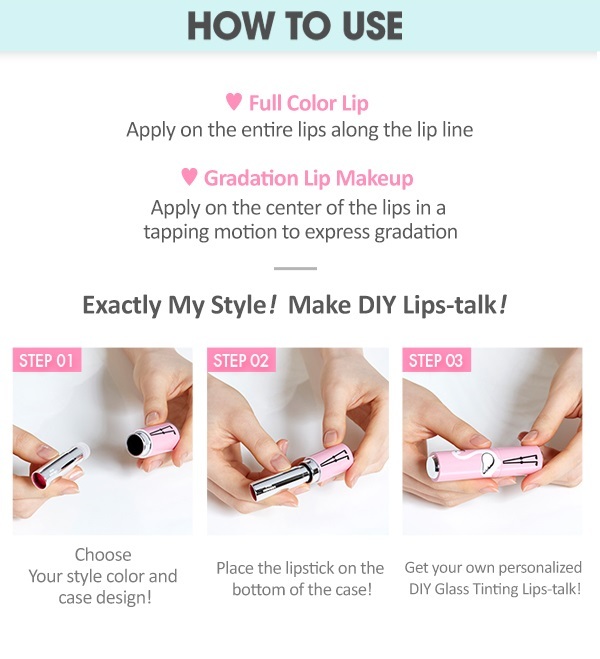 Glass Tinting Lips-Talk slides on your lips and comes in 20 different colors. 3 g / 0.10 oz. I got this in BE101 and one of the more orange tinted colors. I like both, they have sheer natural looking colors. Almost more tinted lip balm than lip stick, though neither as moisturizing as a balm or as tinted as a lip stick. They are pretty however! It's super moisturizing and it leaves a really nice tint after it's worn off. It look amazing on my lips, makes them look plump and pretty. Super pretty colour too. So moisturizing! And it smells nice! I love applying it over and over again. It's pretty and the cases are fun! This is more like a colored balm. 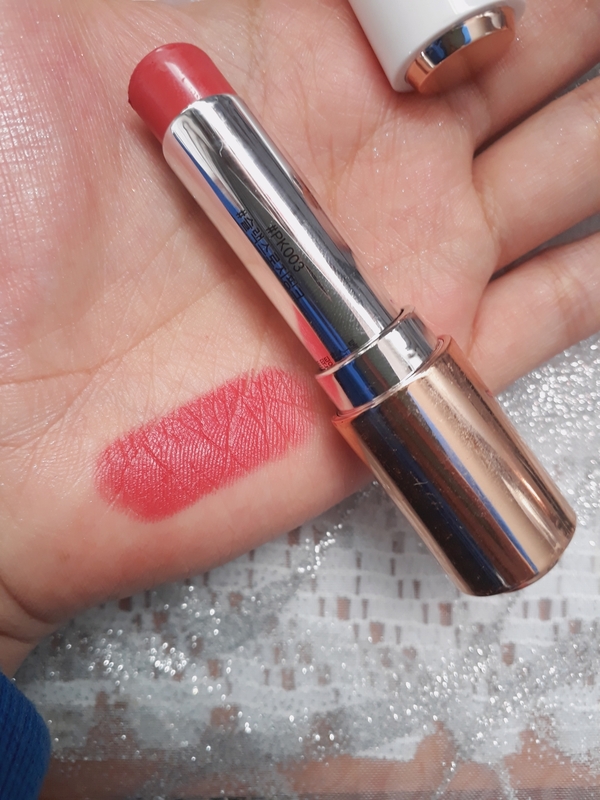 I have a lot of lipstick from different US brands with different textures and degrees of pigmentation and I would have to say this is much more sheer and glossy. If you use Urban Decay sheer lipstick, I'd say it's a bit more sheer than that. I got the color PK003 and it' definitely a brighter pink than pictured. It has a slight pineapple smell and I love the fruity smell. It's pretty moisturizing so you don't need to use a base of lip balm , you can definitely just put this on and it'll glide on easily.